Offer healthy options: As parents, the best you can do is try! It’s important to remember that kids will take in what they need because it is truly out of your control whether they eat or not. Offering healthy choices will allow your kids to make a decision on their own, but we know that their options are either eat healthy or don’t eat. Begging them to eat will create a power struggle and likely end in frustration. Don’t forbid foods: If your child wants something, allow them to have it as a small treat during the day or after a meal. Forbidding foods will make your kids want them more just because they know they aren’t allowed. This then creates a struggle for you. You’re still in control here if you politely ask your child when they would like their treat. Remind them that after this they won’t have another opportunity for their treat until tomorrow. Once they understand this, the struggle is over. Be a healthy teacher: Do as I say, not as I do? We all know that doesn’t work when there’s a toddler in the house. The best way to teach your kids to eat healthy is to eat healthy yourself. Make sure to include lots of fruits and veggies on your own plate and express their deliciousness while eating them. This is a great way to simply enjoy your own food without putting pressure on your kids to enjoy theirs. Find out what they’re willing to eat: Who knew a toddler could meal plan! Try sitting down with your child when they are calm and ask for their help in making a list of foods they would like to eat. Doing this will help your child develop decision-making and problem-solving skills while also increasing the likelihood of gaining cooperation during mealtime. Tip: try using images of the food. Enlist their help in cooking: Start by printing out a few recipes that you’d be willing to try and let your child choose from your selection. Next it’s time to hit the shops. As you’re pointing out the foods you need, try explaining briefly how those foods help our body and why it’s good to eat them. Then get cooking! Remember to stay patient and encourage your child as they help. Tip: try this on a day where you aren’t rushed or stressed about getting dinner on the table. Another tip: Get your toddler started on Reliv Now/Nourish for Kids! A daily Reliv shake (recommended for kids two and up) includes the essential nutrients to keep their growing bodies healthy, plus advanced ingredients to boost energy and mental performance. 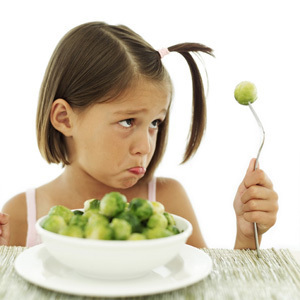 Do you have any tips on getting your fussy-eater eating? Share your stories on our Facebook page and keep the conversation going. Posted in Health and tagged food, fussy, healthy, parent, Reliv Now for Kids, toddler.